Best and most user friendly platform! 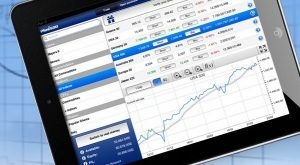 Plus500 Review: The Plus500 CFD Service is a great way to trade the market. Forex, Indices, shares, a lot of instruments. Key features for Plus500: Competitive spreads, Easy withdrawal of profits, Large number of tradable instruments, Low minimum deposit required to open a trading account, Plus500 UK Ltd is authorised and regulated by the Financial Conduct Authority (FRN 509909). Plus500 CY LTD is authorised and regulated by the Cyprus Securities and Exchange Commission (License No. 250/14). Open an account with this user friendly trading platform. Start with a free unlimited demo account at plus500.com. Trading CFD’s is risky. Only trade with money you can afford to lose! The Plus500 CFD Trading Platform is a trading platform which is my opinion very easy to use. The platform is available in 32 languages, ranging from English and German to Russian, Arabic or Chinese and almost everything in between. Kindly read this Plus500 Review where we discuss the Plus500 Live Trading Platform. Another very cool thing about the Plus500 platform: an unlimited FREE demo account! Note: CFD trading involves a significant risk. You can lose your invested money. Plus500 Ltd is listed on the AIM section of the London Stock Exchange. Plus500 LTD is currently (Aug. 2017) GBP 533,50p per share and is increasing month over month. Plus500 is a broker offering to trade the market with so-called Contract For Difference. With CFD’s you can benefit (risk of losing money is involved) from the volatility in the market prices on financial assets or commodities in the entire world. Plus500 is the biggest and currently one of the best broker in CFD’s and is therefor marketleader. 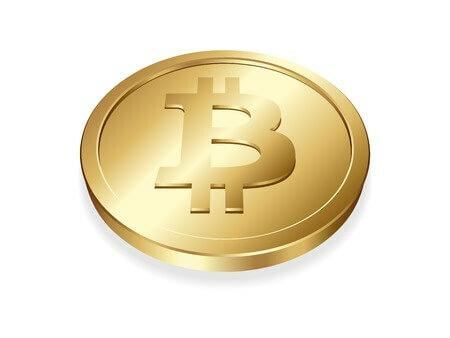 Being the first online forex broker, Plus500 introduced the virtual currency Bitcoin in CFD trading. The company is know for it’s early adoption of new technology and tradable assets. Contract for Differences (CFD) allow traders to trade a stock, share or other asset without actually owning the asset physically. After entering a contract at a certain price, the trader only settles the difference between the buy and sell price. Due to the margin safety the account of the trader will not end up in a negative number. When the margin level is reached, the position will be closed and the account balance is $0,- or whatever is left of the position’s value. CFDs can be traded with various instruments like currencies (forex), indices, commodities and shares. Trading is practiced with leverages up to 1:30, meaning that every dollar or euro spent is worth 300 in the trading system. Trading with $100 gives you $30000 to trade with ($100*300). Currency trading is the world’s most practised type of trading the financial market. On a daily basis one trillion US Dollar is changing owner. Plus500 CFD Service also offers to trade forex. More than 50 Forex Pairs with leverage: forex trading on the FX market with up to 1:30 leverage, allows you to start trading with as little as $300 to gain the effect of $40,000 capital. Trade some of the world’s most actively traded FX pairs with Plus500. The contract value of one FX CFD equals 100 times the price quoted in the currency of the second currency in the pair. So, should the AUD/USD CFD be trading at 0.9450, then the value of one AUD/USD CFD will be USD94.50 or AUD100. You can gain up to 300 times leveraged exposure to the most actively traded FX pairs with an capital equivalent of 0.5% initial margin. No commissions! – Tight spreads. Advanced trading tools: Free trading platform – professional graphs, profit/loss limits, variety of currency pairs. Is Plus500 CFD Service Regulated? Authorised Financial Services Provider in South Africa, FSP #47546. Forex, or foreign currencies, is one of the most common traded instruments in the world. On a daily basis there is 1 trillion dollars exchanging from owner. You can trade forex with Plus500 with a leveraged system. Every traded euro/dollar/pound is worth 300 euro/dollar/pound. The maximum leverage is 1:30 on currencies. Thanks to the many FREE advanced trading tools, professional charts and take profit or stop-loss limits anyone can trade the market with Plus500 Forex Trading Platform. The Plus500 trading platform is not difficult to use. However, if you want to become a professional player in the financial market, you might want to use indicators in your charts. The Plus500 platform supports almost 25 different indicators. The most used Plus500 indicators are Bollinger Bands, MACD, RSI. I have created a kind of Plus500 tutorial which is more like a manual to use the indicators in the trading platform. I have written an ebook explaining the most used indicators and how to use them. The book is for sale on Amazon, but free for anyone who becomes a member on our traders forum. The Plus500 strategy you wish to use totally depends on the type of trader you are. Trend trading or using a fundamental analysis or technical analysis. Every Plus500 strategy is possible with the Plus500 Trading Platform. I have used a plus500 strategy which involved two differenct trading indicators: bollinger bands and ADX indicator. You can read the article I have written about it in in my Trading Diary: ‘From 0 to 60,000 and back‘. Take a look! Some people say that Plus500 is a scam. Rubbish! From my own experience I can tell you that I have never had any problem with anything what so ever. Even getting money back was done in a nick of time. The Plus500 withdrawal procedure is very clear. You can enter your international bank account number and the money will be sent. Or you can enter your Paypal email address and the money is even faster in the account: up to 5 business days depending on the method. Plus500 Scam? No way! ← Is Mobile Trading Safe?